Most precious metals on Tuesday closed lower for a second day in a row. Again, palladium was the exception. Gold and silver extended their declines to a third straight session after they scored multi-month highs last Thursday. Gold for April delivery inched down 10 cents to settle at $1,319.20 an ounce on the Comex division of the New York Mercantile Exchange. "Residual strength in the dollar gives off the impression of a near term dollar uptrend and that could keep the bias in both gold and silver pointing downward," analysts at Zaner Precious Metals wrote in a note Tuesday according to MarketWatch. "Clearly, the gold and silver markets damaged their charts Monday by extending a recent pattern of lower lows and lower highs." 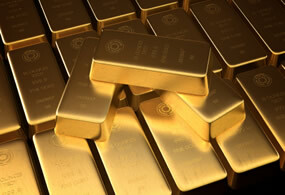 Gold futures ranged from a low of $1,314.80 to a high of $1,321. They fell 0.2% on Monday. Last Thursday, they settled at their best price since April 24. Silver for March delivery shed 5 cents, or 0.3%, to close at $15.836 an ounce. Silver futures traded between $15.81 and $15.93. They dipped 0.3% on Monday. Last Thursday, they marked their best close since July 10. April platinum settled down $2.90, or 0.4%, to $819.90 an ounce, ranging from $819 to $827.40. Palladium for March gained $10.80, or 0.8%, to $1,341.20 an ounce, trading between $1,327.70 and $1,347.50. Gold rose $2.05, or 0.2%, to $1,314.20 an ounce. Silver added 12 cents, or 0.8%, to $15.865 an ounce. United States Mint bullion sales climbed by a combined 5,500 ounces in American Eagle and Buffalo gold coins, by 255,000 ounces in American Silver Eagles, and by 500 ounces in American Platinum Eagles.